Mohi Uddin Ahmed is the founder of Singapore Maths Academy and has over 10 years’ experience in education. He has spent the majority of his career specialising in Mathematics education after graduating in Computer Science and Statistics and completing his PGCE in Secondary Mathematics at the renowned Institute of Education, University of London. Mohi Uddin later became Head of Mathematics at a prestigious independent secondary school in North West London where he was responsible for accelerated pathways which meant students were able to finish their GCSE in Mathematics a year earlier than the majority of the country and then completing either a GCSE in Statistics or partly completing an AS level in Mathematics. With the schools A*-A results at 70%, Mohi Uddin was later judged to be an ‘Outstanding’ teacher and Head of department by Ofsted. As well as being a former Edexcel examiner, Mohi Uddin was also a Headteacher at primary school for over two years. In his last year, the school achieved 100% Level 4+ in the Year 6 SATs. Mohi Uddin went on to become a Maths consultant after leaving his headship and for the last two years has been training schools all over England and Wales on the Singapore Maths approach to teaching. He was one of the trainers and consultants for Maths No Problem, the leading Singapore Maths specialists in Europe and he also runs his own consultancy MUA Consultancy which has the Barmodel.co.uk and Tenframe.co.uk under its belt. 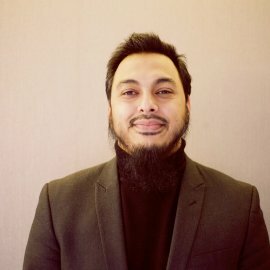 Mohi Uddin has trained over 5,000 teachers in the England and continues to be one of the figures spearheading Singapore Maths and teaching for Mastery in England.